Expired federal tax credits for the wind industry are in front of Congress again, but the political future for the long-standing subsidies is anything but safe, according to a new report. 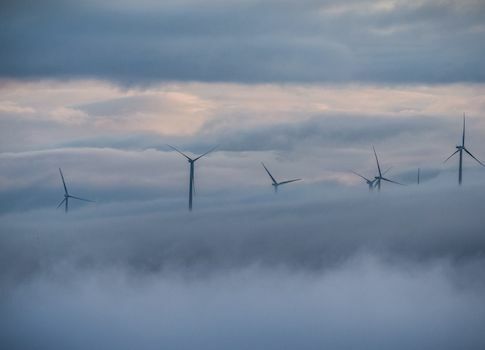 Experts at Capital Alpha Partners, one of a burgeoning group of research firms that provides political intelligence for investors, wrote last week that the appetite on Capitol Hill for continuing the wind energy production tax credit (PTC) is declining. In a report obtained by the Washington Free Beacon, Capital Alpha writes that a combination of flagging political will and changing market environments could signal the decline, and possibly the end, of the two-decades-old tax credit for the wind industry. "There comes a time when subsidies which are popular to start with become less popular as conditions change," the report says. "The wind PTC may be reaching that point—not just because some in Congress are losing patience with the so-called tax extenders, but also because fundamental market conditions are putting the traditional utility model under stress." Congress first enacted the wind energy PTC in 1992, and has renewed it seven times since, but the tax credit has faced increasing resistance from fiscal hawks and competing energy interests, who say the wind industry is mature enough to take off the federal training wheels. The wind PTC expired for one day in 2013 before Congress revived it in a one-year extension. It expired again this year, but on April 3, the Senate Finance Committee passed an extenders package for 55 tax credits, including a two-year extension for the wind PTC. Capital Alpha said its analysis showed only six to eight of those are core provisions of the tax code. "Others might count a little differently," the firm writes. "But there is wide agreement that the majority of extenders are special interest handouts, the pet political projects of a few influential members of Congress, or simply too trivial to have any impact on problems they supposedly address," the report says. While the majority of tax credits are non-essential, investors have traditionally—and correctly—placed faith in Congress to continue accommodating rent-seekers. "Our investor clients have become used to the idea that all extenders are extended eventually, and that enacting the extension is purely a matter of routine, in which gridlock on unrelated topics is the only source of uncertainty and delay," the report says. However, Capital Alpha warns that wind energy subsidies are on the same political trajectory as ethanol mandates, which stalled in 2013 after years of steady increases. Senate Finance chairman Ron Wyden (D., Ore.) signaled his feelings by naming the extenders package bill the Expiring Provisions Improvement Reform and Efficiency (EXPIRE) Act. The bill’s future on the Senate floor in uncertain, but if it passes, it will face even stiffer opposition in the House. "Our sense from monitoring lobbying activity is that overall, active support from the utility industry has declined as utilities that might be interested in wind generation have either met their state mandates or have come close enough that their state utility commissions will not allow them to build more," the report says. "Meanwhile, the active opposition has found a ready audience among Tea Party-influenced Republicans in the House of Representatives." Supporters of the tax credit argue it fosters job-creation and renewable energy production. According to a report by the American Wind Energy Association (AWEA), the wind industry shrank by 30,000 jobs in 2013 because of uncertainty over the tax credit. "Congress must act quickly to retroactively extend the PTC. Failure to do so will kill jobs and roll back progress that the nation has made to diversify its electricity portfolio," AWEA said on its website. "Extending the PTC will foster economic security and energy diversity."